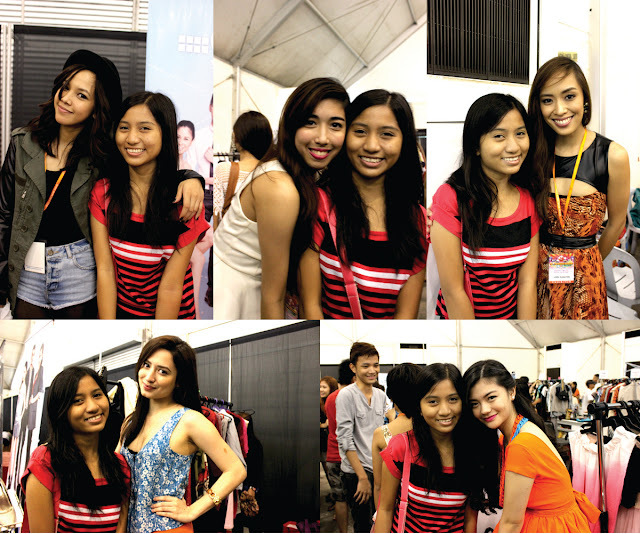 Anyway, the first one I saw was Verniece (lower right). She's basically the person I want to be. And considering that she's only 18, I'm dying of envy... really! She's so pretty, she has great fashion sense and she's so great at figure skating (my forever frustration). I told her that I was the one who asked her about her coach and we chatted for a small time about ice skating, because there are others who also want to take a picture with her. I wish I could talk with her again some time. Let me just say, Patricia Prieto (upper left) is like 10000x prettier in person! I mean, she's pretty in her photos but she's so so so so so so pretty when you see her personally. I even told her that, because she really is. Girl crush!!! The others.. Dani Barretto (upper middle), Lissa Kahayon (upper right) and Nicole Andersson (lower left), I wasn't able to talk to. :( But they are super approachable I swear! I would have chatted with them too given the chance. I'm in the search for sweaters and hoodies for a long time already because I have been using one of my jacket all the time when skating. And like Verniece, I also want to be fashionable in and out of the rink. But they are expensive (for me). So when I saw these two sweaters, I grabbed them and didn't let go for one moment! Believe me or not, I don't have a denim jacket in my closet... I know right? So I'm so lucky I saw this one at BU4. It's Levi's!!! And do you know how much I paid for all of them? Exactly Php950.00! That's like approximately 23 dollars! I LOVE IT!